We had an excellent turnout for this afternoon talk in March, despite the sunny weather. And just to show that good things do come out of Yorkshire, Sheila Gordon, who devised the trail, Lady Anne’s Way and has a book of the same name, entertained us with a splendid talk. People were very appreciative of learning about this interesting aristocratic woman who spent the last years of her life restoring the many properties included in her inheritance. This was in stark contrast to her father, George Clifford who set out with one of the largest inherited fortunes which he spent profligately in less than twenty years. Unusually for the time and by direction of Edward 11, women in the Clifford family were able to inherit the goods and titles unlike the rest of the aristocracy having to obey the law of primogeniture. 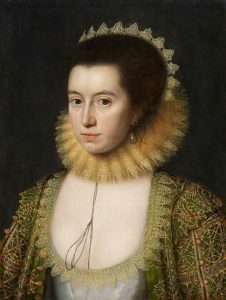 Unfortunately Anne had to fight for many years before she inherited her fortune, however, when she did she became one of the wealthiest women in the land. 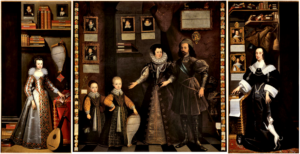 Anne seems to have been a force of nature as she stood up to many men including the King James and apparently took him to court whilst trying to gain control of her inheritance. Clifford lands covered 90,000 acres and when Anne went on her journeys for example from Skipton to Penrith – about a hundred miles, she would never have had to leave her own land. Her life can be traced through her Great Diaries, the last of which covers her life and times in the North. 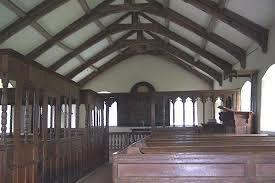 In 1659 Anne was said to have restored Ninekirks – the local name for the lovely St Ninian’s church near Brougham. It is a Grade 1 listed building apparently the area has been continuously occupied since Roman times. Up to 3oo people were involved in transporting Lady Anne and her baggage train on her ‘jerneys’, goods included tapestries, carpets, curtains, crockery, glassware, cutlery and other things. Sheila revealed some stunning images of the countryside that Lady Anne journeyed through, Mallerstang looked particularly beautiful. There was an evocative image of The Countess Pillar, which Anne erected on the spot where she parted with her mother when Anne journeyed south on her marriage in 1616. The image of her coffin in Appleby Church is also very poignant. Although most of her properties are in Yorkshire and what was Westmorland, her life and times still soundly resonate with us Lancastrians judging by the turnout today. Most of us will have visited her birthplace – Skipton Castle and perhaps proudly taken visitors there. That Anne had a habit of reciprocating the hospitality she received by giving her hosts a Great Lock as a thankyou. At the time they cost a princely £1. One can be seen in Browsholme Hall another in Dacre Church. Note the key rest. What you cannot see here are her initials AP (Pembroke) and the year 1661/?4. Sheila’s book, Lady Anne’s Way will be available shortly in our shop, which may make you want to follow in Anne’s footsteps or rather carriages!